What's The Best Deicer For Your Northeast Ohio Commercial Property? 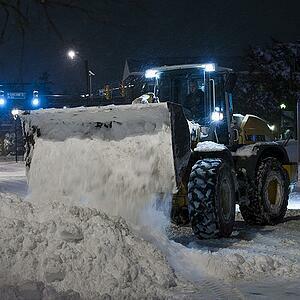 There’s no surefire strategy for deicing commercial properties in Northeast Ohio. Every storm is different: Temperatures vary, and the cold impacts snow’s moisture content. Deicers need moisture to do their work, and liquid formula generally performs best within certain temperature windows. That’s why it’s important to seek out a snow contractor that brings science and sustainability into the liquid deicing picture. At Schill, we focus on using effective products that maximize the use of bulk material (salt), help keep properties safe and contribute to efficient, cost-effective service. Deicers are an important tool in the snow and ice management arsenal, and there are a variety of ways to use deicers and combination products to extend their capabilities, reduce the quantity of salt required on properties, and tread more lightly on the environment. Innovative liquid deicers allow snow removal contractors to significantly reduce harmful effects of ice-melting products. When commercial properties are treated with deicing formulas, the grounds require fewer chemicals and need fewer applications, which saves time and fuel. Reducing rock salt use will be especially important this year with the national salt shortage we’re experiencing, and rising costs as a result. Here’s how deicers work, and why you should talk to your contractor about deicers as a sustainable, budget-smart addition to your winter storm management plan. Deicing products are used directly on surfaces before a snow event occurs to pretreat properties. The liquid deicer prevents snow from bonding to pavement and walkways, so when the snow does fly and land on the surfaces, it doesn’t stick—or much less accumulation builds up. 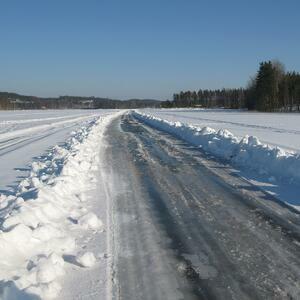 This cuts down on plowing time and reduces the need for salt during and after a storm. By pretreating pavement, a contractor can use less salt and clean up properties faster, saving time and money. Tossing salt on a property will not melt the snow unless the right conditions are present (temperature and moisture). Liquid deicers add the moisture component, allowing salt to be more effective and do its melting work. Given this year’s salt supply shortage, maximizing salt will be critical. Pretreating bulk material with deicers is one solution for making the material last. Once applied to pavement, pretreated salt is more effective. Innovative deicing formulas can extend the use of the product. One variety of liquid deicer is salt brine, which is a solution of 23 percent salt mixed with water. This product can be sprayed onto surfaces as a pre-storm treatment to prevent snow from bonding to pavement, or used in conjunction with salt and plowing during and after a storm. There are temperature limits to the salt brine: Traditional liquid deicer will freeze once temperatures drop to about 10 degrees or below. Extending that temperature window is possible by mixing liquid deicers with agricultural byproducts—anything from molasses to sugar beet juice, and a host of other natural add-ins. These combination products enhance the sustainability of deicers by adding an organic material that actually melts snow and ice at much lower temperatures. Liquid deicers are a critical part of managing snow and ice on Northeast Ohio properties because these products can lighten the footprint of winter services. Pretreating pavement with deicers adds a moisture component that helps keep salt in place when our trucks apply that bulk material. Rock salt naturally bounces when it lands on surfaces, but liquid deicers help stabilize salt and prevent it from spreading into the landscape, where it can potentially cause damage. Our liquid deicing solutions contain fewer chemicals and include natural byproducts that improve their effectiveness. We can feel good about the product we spread on your commercial property to ensure its safety in winter. 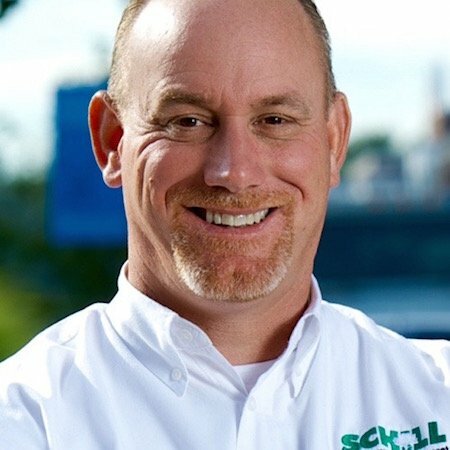 At Schill, we dedicate resources toward creating innovative solutions that make our services more sustainable, efficient and cost-effective for clients. Safety is our No. 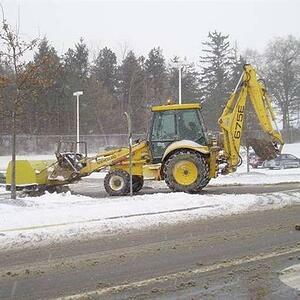 1 priority for snow and ice management. Ask us how our liquid deciders forward this goal and align with our commitment to sustainability. Call us any time at (440) 327-3030, or fill out our simple web contact form and we’ll get in touch with you!